My readers will know that I have an undying love for F Scott Fitzgerald, his literature and the era he penned to perfection. The flappers, the Charleston, Art Deco design and ‘the whole shebang’! It came to my attention recently that I have none of the Fitzgerald quotes that have been charming me for so long on Charms of a Dandizette…so I though I should share some. It was my attempt to reread my Fitzgerald collection before the release of The Great Gatsby film starring Leonardo Di Caprio and Carey Mulligan. However, since finishing Tender is the Night I have been drawn to another book, the same book that possibly every other woman at present has been drawn to – E. L James’ Fifty Shades of Grey – there’s plenty to say about that but I shan’t digress. 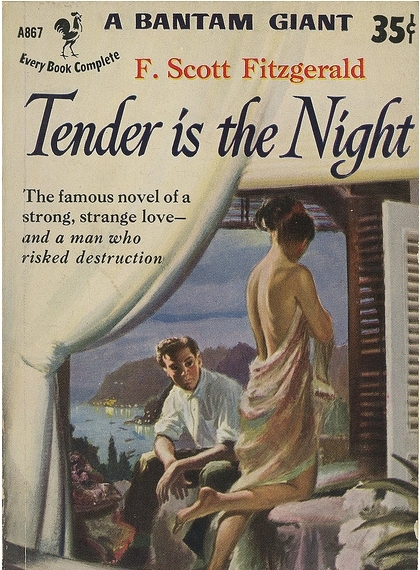 So, I began my Fitzgerald journey with Tender is the Night. Tender is the Night is yet another of Fitzgerald’s devastating and gentle tales about the fall from grace, the wonders of falling in love quickly and uncontrollably – without reason, whilst falling out of it slowly and painfully with complete clarity. I love to read Fitzgerald because I adore his capacity to write the human condition so well – regardless of whether he or any of his characters were ever able outsmart it. Tender is the the Night paints the perfect picture or illusion for destruction.